Worried about your kids slipping behind on their Mandarin this summer? Here’s a list of study aids, including a set of grade-appropriate flashcards developed by a group of UMIPC parents in coordination with Utah teachers. These tools can always be found on our “resources” page. But I thought I’d call it to everyone’s attention. Just as skills like reading English and doing math need to be reinforced at home, so do the Chinese skills your child is learning. This does not need to be incredibly time-consuming. Fifteen to thirty minutes of Chinese time each school night can give your child the reinforcement he or she needs. And there are lots of resources available! The following are suggestions of how you can help your children learn Chinese. 1. Support your child in doing any Chinese homework they have. For example if s/he has a take home reading book listen to your child read it. If your child has spelling words, have them write the words two or three times each night. If your child doesn’t have homework, ask your teacher for some, or use some of the below resources. 15-30 minutes of Chinese practice at home can definitely help your child learn Chinese. 2. Currently, some schools use a Singapore reading curriculum. You access their website and have your children read you the books they are studying in school. The website can be a little difficult to navigate because it’s in Chinese, but don’t be intimidated – it really isn’t that hard, especially because your child can probably figure it out. If that fails, contact your child’s teacher. 3. Some students use Better Chinese. Your school may provide free or discounted membership; it is typically about $25.00 a year. Having your children read you the online stories can be very helpful for them to reinforce their reading skills. 4. Math flashcards that children can use to remember math vocabulary. (English translationhere). 5. Digital flashcards based on the key vocab words are available to help your children reinforce their skills. First grade, second grade, third grade, fourth grade. Notice that there are some games that can be played. Some are harder than others, “Scatter” is one that many children will enjoy. 6. Practice reading with Chinese Immersion teachers from Canada reading Chinese books. 7. Let your children watch Chinese video clips. For example, they can watch Dora the Exploreror Spongebob Squarepants (note – both of those links are to YouTube-like sites that display ads. Putting the display to full-screen often eliminates the ad. Both of those links are for individual episodes; additional episodes appear underneath). Younger learners might enjoy Sesame Street or Thomas the Train in Chinese. Several other videos, songs, etc. are linked here. 8. Connect with other parents of immersion students and work together. Get connected if you aren’t already. 10. If you have a smart device, get some apps for your kids to play with. Speak and Learn Pro(iOS only) works like Rosetta stone, but much cheaper ($9.99). Should be a fun review for most students and a good way to reinforce learning. www.archchinese.com – Great for generating worksheets for handwriting practice. The site also has an animation tool showing you the stroke order for 7,000 frequently used characters. Show, don’t just tell your kids Mandarin is important. Learn a little Mandarin, too! The Rosetta Stone – Preferred by corporations and the U.S. military. Expensive, but some school districts offer group discounts. This entry was posted in Uncategorized and tagged aids, immersion, Mandarin, study, tools, Utah on June 9, 2014 by diparents. 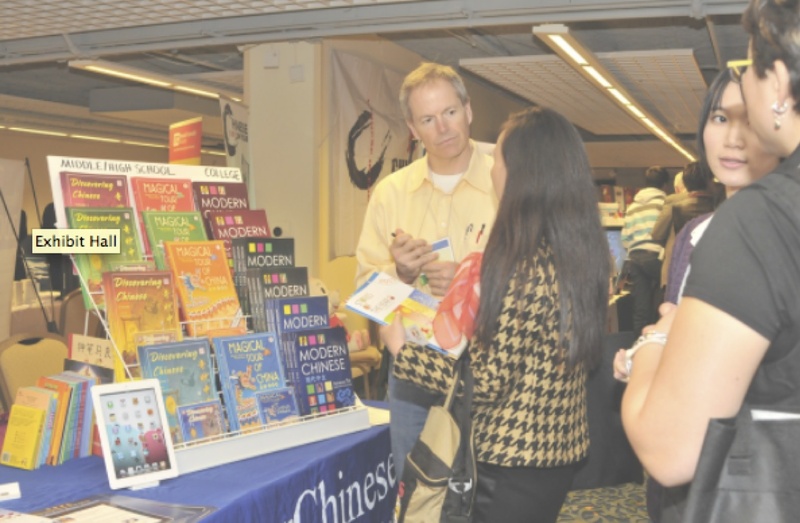 A parent report from the National Chinese Language Conference in L.A. Some great content from the dedicated immersion group in San Francisco. Natasha Heller, a parent at Broadway Elementary in Venice, Calif., attended the National Chinese Language Conference in Los Angeles May 9 – 10, 2014, and sends these notes. Kudos for making this available to parents nationally. The morning at NCLC began with a discussion of California’s special role in Sino-American relations. David Pierson of the Los Angeles Times moderated. K. Y. Cheng of East West Bank talked about California’s long “very pivotal role” in relations between the two countries; Qingyun Ma, Dean of the School of Architecture at USC described California as a “double frontier” poised between America and the Pacific Rim. Del Christensen (Bay Area Council) pointed to business and education as important ways of building bridges. This entry was posted in Uncategorized on June 1, 2014 by diparents.